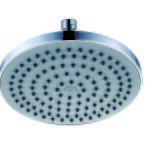 Most people do not think twice about buying shower heads & rails mainly because they are cheap and are all assumed to function in pretty much the same way. Unknown to many people not all shower rails are made equal, as a matter of fact there are some like ours that is way better than the rest. What sets our shower rails and heads apart from many others currently available is their build quality, durability and the fact that they have been designed with you in mind. This means that they perform far more efficiently and they last longer than others. So, you no longer need to spend on installation and the purchase of new ones every year. This is a considerable cost savings when you factor in the fact that our rails last for years. How our shower heads & rails are built? We pride ourselves on using only the very best and highest quality materials regardless of what we build. 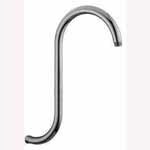 Our shower heads & rails benefit from the concept that they have to be built to last from the finest materials. In addition, we invest lots of time and effort into ensuring that our rails and heads are designed for maximum efficiency. This means that our shower heads can deliver a steady stream of water in the right amount which amounts to a great wet shower and yet with less water wasted. Plus our anti rust coating coupled with numerous other innovations ensure that rust, dirt and the buildup of minerals in the water does not destroy your investment anytime soon. 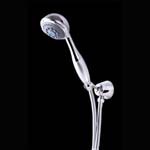 In addition, to designing and manufacturing the best shower heads & rails we have also invested a considerable amount of time in pricing them correctly. Even though high quality materials are expensive but we always try to price everything we sell with the buyer’s finances in mind. That said in apart from being cost effective our products also end up being a lot cheaper in the long term because they do not need to be replaced so early. So, years of service life can potentially save you hundreds of dollars. 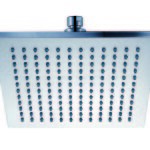 To find out more about our high quality shower heads and rails call us on 02 9675 6885. You can also find out more about our products by filling out our short online form.